The JD-XA Analog/Digital Crossover Synthesizer is an advanced new keyboard that offers a unique and powerful approach to synthesis, putting the best elements of analog and digital synth technology at your fingertips. Equipped with fully featured analog and digital sound engines that can be used independently or interactively, the JD-XA brings together classic warmth and modern versatility in one super-creative, no-compromise instrument. 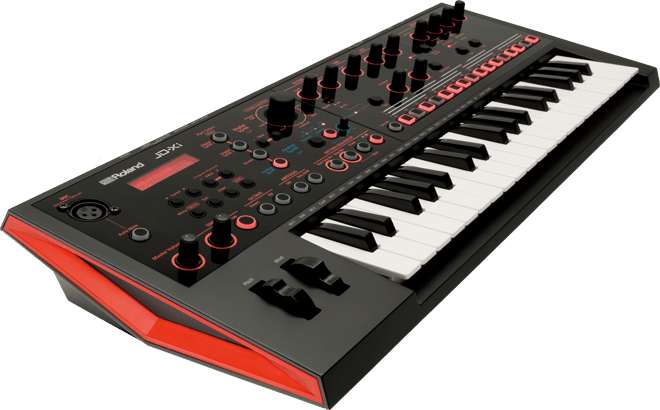 Roland JD-Xi Interactive Crossover Synthesizer.